Annnnd cue snow. 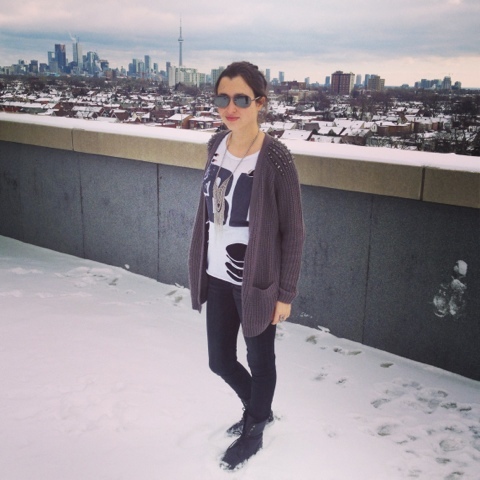 Just when you thought it was safe to go outside, Toronto gets dumped on again with a slushy snow storm. Maybe I should buy a lottery ticket after predicting this would happen in yesterday's post. Go away snow, you are not wanted here! 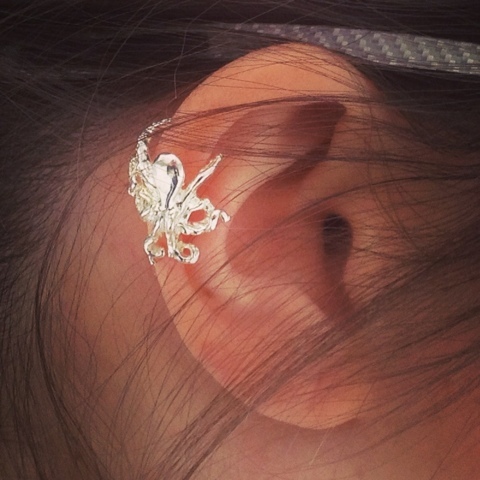 On a side note, how cute is this octopus ear cuff?? Picked it up at a booth in Vegas as well, I always find the coolest things there.